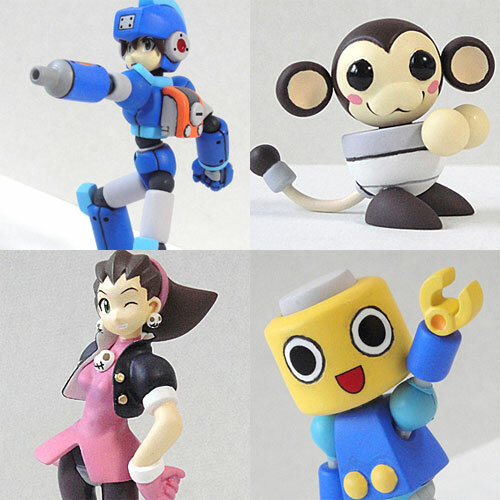 Garage-kit convention Wonder Festival is set to kick off in Japan soon, and as per usual, you can expect to see some pretty fascinating custom models and figures such as these Rockman DASH figures by Sorairo. Tokyo Hunter will ship these the figures out internationally on July 25th for 5,000 ($56.08) per set; Rock Volnutt and Data representing one set, Tron and faithful Kobun being the other. To guarantee a set, you'll have to secure your order before July 23. Bear in mind, assembly required! More pictures of each figure and details how to order at Tokyo Hunter. 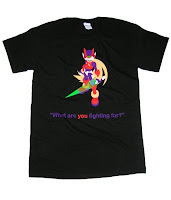 The winning design from Capcom's Mega Man Zero t-shirt design contest is set to ship on July 1st, and you can place a pre-order now via Capcom's online store for $19.95. Supplies are extremely limited, so hop on this while you have the chance. Additionally, if you participated in any one of the four Mega Man Zero fan-art contests, you can get the shirt for free! Same goes for those of who attended the Mega Man community event last month. To secure your free tee, simply send jgonzo a private message with your size preference, mailing address and the subject MMZC SHIRT. 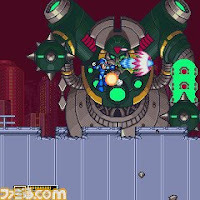 The Ryuusei no Rockman (aka Mega Man Star Force) series gets a classic 8-bit opening sequence treatment in the following fan-made video by Tarbo-san. The sequence took Tarbo-san a little over three months to produce, and you can check out a behind-the-scenes look at its development over at his blog here (Japanese). The nature of the Nintendo 3DS makes it impossible to show off just what the system is capable of in video or 2D form. Taking that into consideration, Siliconera had some time to mess around with the Mega Man 2 3DS demo and provided a short description of what the classic was like running in 3D. "The clip from Mega Man 2 was taken from Wood Man’s stage. See the fire? It appeared as if it was on its own plane in front of Mega Man. The robot wolf and Mega Man were on their own plane and the background was behind." Mellahan, our own E3 attendee, had some hands-on time with the demo too. "The added depth certainly made the game look fresh and exciting," he writes. 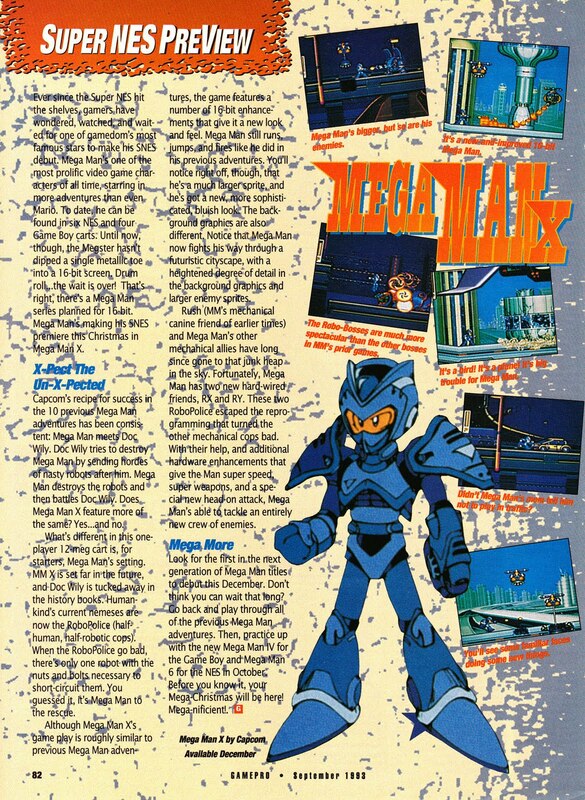 "It's kind of difficult to explain what it looked liked, but I think it can be best compared to the 'layering' effects seen during the secret Cut Man fight in Mega Man X8. Sort of. Of course, you can turn the 3D effects off anytime you'd like. 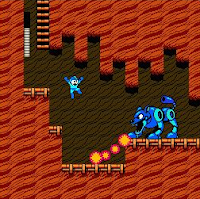 Simply move the 3D slider to off, and you can enjoy MM2 in its classic 2D form. 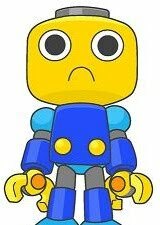 I really can't judge if the game will actually 'work' in 3D as the demo was merely a still snapshot of Woodman's stage; it wasn't playable. But, so far it seems promising!" As previously reported, the tech demo is indeed going to be a full game, confirmed by Nintendo of America's president. 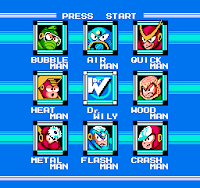 Mega Man 2 is one of many classic games being ported over to the Nintendo 3DS in some shape or form. A popular theory is that these games will appear on a Virtual Console of sort, but that's only speculation. 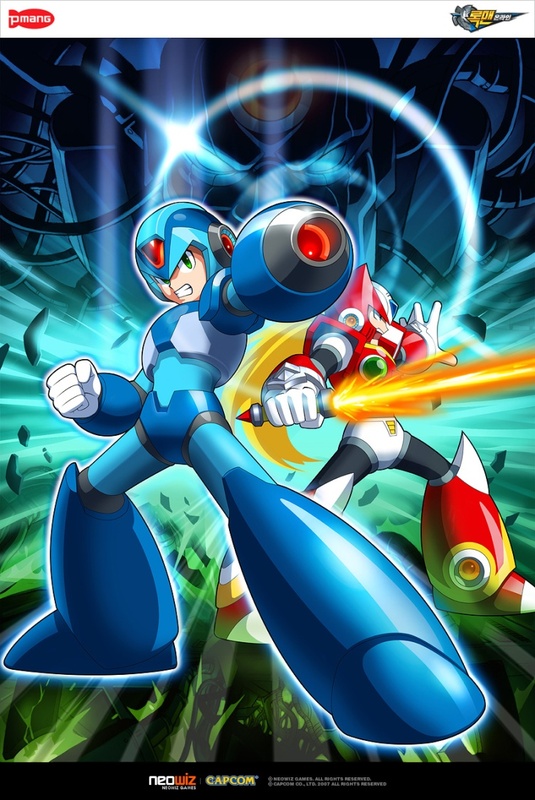 According to a reliable source, Capcom is in the midst of pre-production for a short live action rendition of the classic Zero vs. Sigma fight sequence from Mega Man X4, as an act of service to the fans. The sequence is being produced by the same film crew behind the mini Dead Rising live action film, and is set to debut online some time next year. Confirmation of this comes from none other than Lucas Gilbertson, who provided the voice of Zero in Mega Man X Command Mission, Mega Man X8, and Mega Man: Maverick Hunter X. According to Lucas, not only is he at the helm of the project, but he's also set to star in the role of Zero. While it sounds a bit hard to swallow, both Lucas and my source (who's chosen to remain anonymous) assured me that the project is very real and is moving forward. Needless to say, this should be very interesting. I'll keep you posted on any future developments. It's been about a year since we learned of the legality hurdles preventing a PlayStation Network re-release of Mega Man Legends. After a year of silence and no sign of the game showing up any time soon, Capcom has come through with a status update. Over at the Capcom Unity forums, Christian Svensson offered this brief, yet hopeful statement: "They are indeed taking longer than we'd hoped but we're still working them", referring to Mega Man Legends and Breath of Fire 3 and 4. So it isn't a lost cause after all, but it's taking them a while. Still, what's the big holdup? Copyright issues with the original voice actors, apparently. Because digital video game distribution wasn't anticipated back in 1998, the rights to re-supply their voice work for a digital release of MML might not have been included in their original contracts. Thus Capcom would need the voice actors' consent to use re-use their voices again; a hurdle in and of itself. If worse comes to worst and they cannot secure the rights to the dialogue, I imagine they'll either remove the voice acting altogether (consequently adding subtitles to sequences which had voiced dialogue only), or hire new VAs and re-record all the dialogue from scratch. However, in the case of the latter, it would no longer be cost effective because that measure would end up costing Capcom more money then they'd possibly make back on the re-release. A sticky situation indeed. Nevertheless, I'm confident they'll pull through. 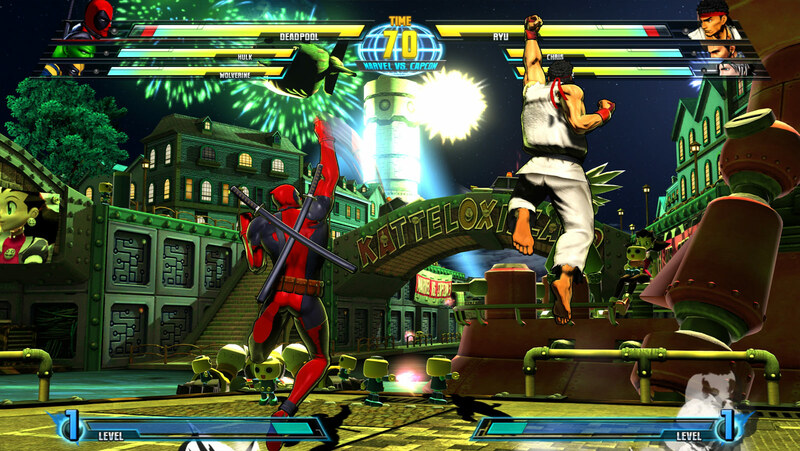 Capcom's gone to great lengths to bypass legal hurdles before (Tatsunoko vs. Capcom, anyone?) and can most certainly do it again. From mountains of Servbot-themed merchandise to Frank West's realistic Mega Man X costume, Capcom's Dead Rising series certainly loves to pay homage to the Blue Bomber. Dead Rising: Case Zero, the forthcoming playable prologue to Dead Rising 2, looks to continue this trend. E3 attendees Trike and Riley had a chance to play Case Zero at E3 last week, and both managed to spot a few Mega Man tributes. 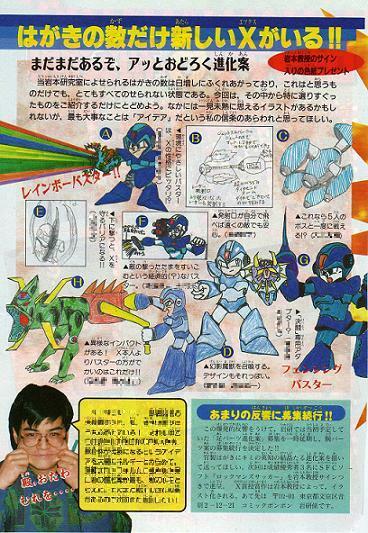 Trike writes, "There were two Mega Man cameos that were very noticeable. One was that the Servbot Helmets return. This time however there are many variations featuring different Servbot expressions. They are pretty funny. 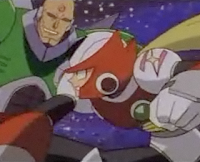 The other is that there is a Proto Man cardboard cut-out that is able to be used as a weapon." Riley confirms these nods and then some. "I saw a couple Mega Man posters plastered onto the walls of the playable stage", he writes "The posters featured art from the six NES games. Also, I had a chance to speak with a Capcom rep and according to him, the MMX costume will return in DR2 and even teased the possibility of another Mega Man-themed costume." I don't mean to sound like a Zero fanboy, but I'd love for the new costume to be Zero. You have to admit, slicing through hordes of zombies with your Z-Saber would be pretty awesome. Dead Rising: Case Zero will be made available to download some time prior to August 31st, exclusive to Xbox 360. 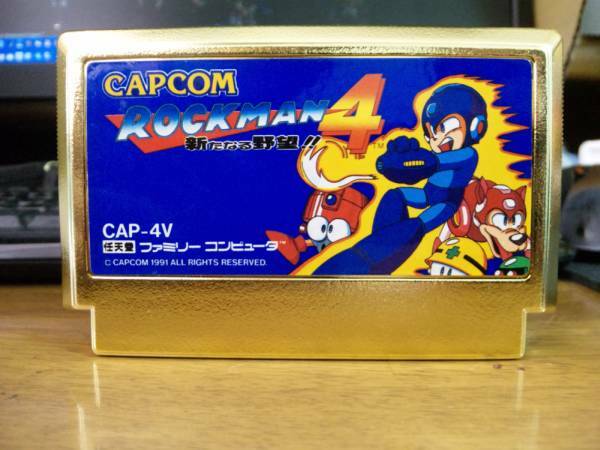 There's a prototype Mega Man 5 cartridge currently up for sale over at the Nintendo Age forums. With no specific price, all you have to do is make a (realistic) offer and it's yours. Full details and more pics here. 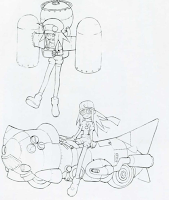 For those longing for a nice look inside the near unobtainable Rockman DASH 2 Special Selection art book (released only in Japan in limited quantities last fall), Mega Man Legends Station has you covered. Forumgoer Emeltee has scanned the book's contents in it entirety, and has graciously put it up for public download here. The book is loaded with official and conceptual art from DASH 2, including several pieces featuring unused characters, enemies and weapons. 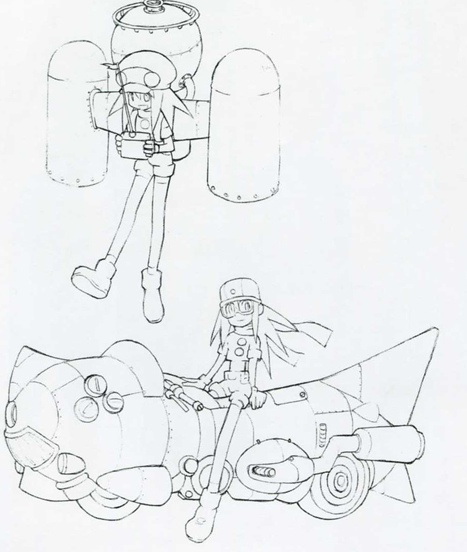 There's even art for some unused Roll vehicles like a jet pack and a motorcycle (pictured). Why these didn't make it into the final game are beyond me, but they sure are awesome. Snag a download at the above links. On an unrelated note, I thought I'd touch on the subject of the World Hobby Fair considering many of you want to know what's going down. Simply put, there's been no announcements. Absolutely nothing. With only one day left, there's still a chance something might come up but, honestly, I wouldn't get your hopes up. I'll keep you posted. "There was a curious reel of more than a dozen old-school games, including Mega Man 2, Castlevania, Urban Champion, Kid Icarus, Yoshi's Island, Smash Ping Pong, Mario Bros., Super Mario Bros., Tennis, The Legend of Zelda, Metroid and Mystery of Murasame Castle.... I asked Nintendo of America president Reggie Fils-Aime what to make of all these old-school remakes. Were they all going to be games on the 3DS? Yes, he said, but he cautioned me not to think of them as remakes. Echoing comments by Nintendo's head developer, Shigeru Miyamoto from a roundtable earlier in the week, Fils-Aime said these games were potentially getting more than just ported over. Miyamoto had talked about trying new features in the games that would take advantage of the 3DS' capabilities." Sounds to me like this is the 3DS' version of Wii's Virtual Console...but in 3D, and then some. Hoping to get more details on this soon. Check out the full story over at Kotaku. Sent in by reader Joshua, check out this work-in-progress Mega Man Zero wall mural being produced by deviant artist ~Saber-chan for one of her school's hallway. 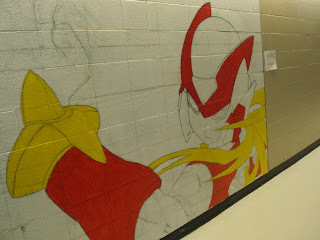 Saber writes, "I was asked to draw a picture on the wall for the anime club at school. The teacher saw a picture of Zero that she liked (I had brought my Official Complete Works to school that day V: ) and she wanted Zero drawn on the wall. Shockingly, some people know who he is. 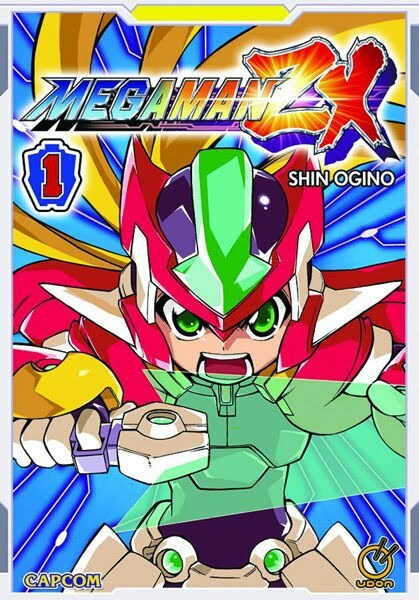 I guess you can say this is in commemoration of the MegaMan Zero Collection?" Imagine passing by that everyday on the way to class. Can't wait to see the finished product! [0 by ~Saber-chan] Thanks, Joshua! How's Zero Collection fairing sales-wise in Japan? According to the weekly Media Create sales rankings, the game debuted at number four with approximately 22,000 units sold -- just ahead of Dragon Quest Monsters 2, but behind the likes of GTA, Mario Galaxy 2 and Xenoblade. Not too shabby for a compilation! Will sales pick up from here? Or will Zero Collection suffer the same dwindling fate as Operate Shooting Star? Only time will tell. "One of the more surprising of the tech demos was something called "Classic Games." In this interactive but nonplayable demo, you could cycle through 18 different pixel-perfect NES and Super NES games and see them reprocessed in 3D. Basically, all the sprites and backgrounds have been pulled forward or pushed backwards to provide the appropriate illusion of depth using the stereoscopic LCD of the system. "The list of games in this collection included Mario Bros., Tennis, Super Mario Bros. The Legend of Zelda, Metroid, Musasame, Punch-Out! !, Excitebike, NES Open Golf, Twin Bee, Super Mario World, Kirby's Adventure, Mega Man 2, Castlevania, Urban Champ, Kid Icarus, Yoshi's Island, and Smash Ping Pong." No footage of the demo exists at this time, but it shouldn't be too hard to imagine what Mega Man 2 in 3D would look like. Bear in mind, this is by no means a Mega Man game for the 3DS nor a confirmation of one; merely a technical demonstration. Read up on the full story at IGN. No news on any MvC3 Mega Man characters yet, but we've got our first look at the Mega Man Legends themed stage, Kattelox Island, in motion straight from E3. Check it out below! Update:Okay, so it's not spelled Cattleox, according to this new screen. 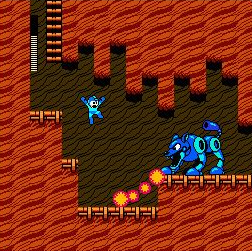 Back in April, it was discovered that Capcom filed a trademark for the title 'Mega Man Universe' at the U.S Trademark and Patent Offices. Now the name has reared its head once more, this time at the European trademark offices -- a sure fire sign that the game, whatever it may be, will be releasing in Europe too. Other than trademarks, no other details about Mega Man Universe exist at this point, merely fan speculations. With E3 '10 going on all this week, perhaps we'll finally hear something. Till then, keep on speculating. E3 Coverage Kicks Off This Week; What News Will It Bring? Tomorrow marks the beginning of the most important week in gaming all year: E3 Expo 2010. Capcom, among other developers and publishers, will be in attendance, and while their preliminary games list makes no mention of Mega Man, they've got a couple surprise unannounced games in store. 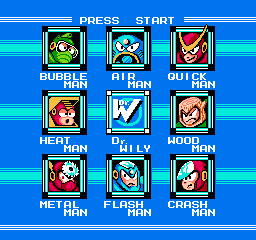 Will one of them be the ever-mysterious Mega Man Universe? Or something else entirely? 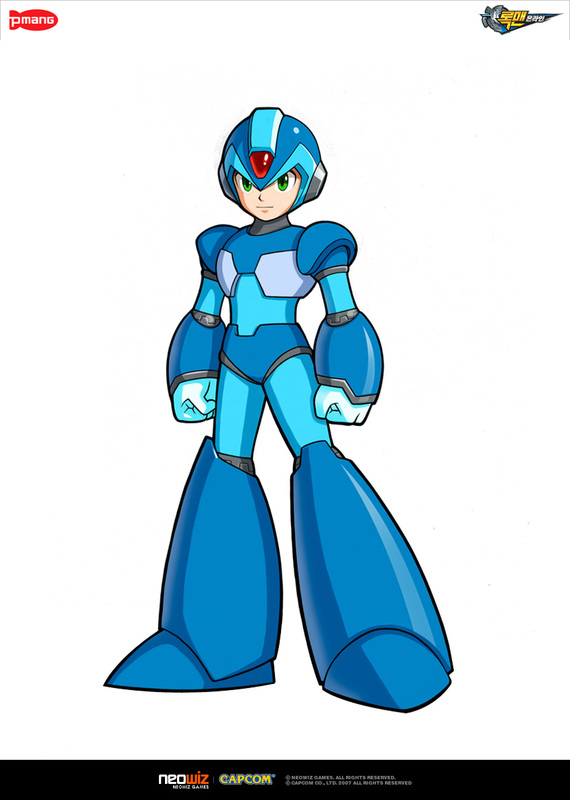 Naturally, I will be covering any Mega Man news that develops from the show...from the sidelines, unfortunately. Although I was invited by Capcom to attend, I reluctantly had to decline the gracious opportunity due to other obligations. Nevertheless, I'll do my absolute best to have up to the minute material. It's interesting, you know? Why else would Capcom invite both myself and The Mega Man Network if they weren't showing something Mega Man related? Food for thought. In all four games, Ciel has been given one extra frame of running animation. Credits theme for Zero 4 is the lyrical version that was removed from the original release of Mega Man Zero 4. Harpuia says "finish me" instead of "just kill me." Elpizo says "time to meet your end" instead of "time to die." When Zero falls unconscious in Zero 2, Harpuia's line has been changed to "To live or perish?" instead of the original line, "To live or die?" Zero 2's two player mode has been removed entirely. BGM and sound effects have seen a major boost in quality thanks to DS hardware. In some cases, whole sound effects have been replaced with newer effects such as the warning sirens during transfer sequences. Alouette has new dialogue in Easy Scenario Mode; she makes reference to how in Zero 4, players' ranks won't be affected by Cyber Elf use. A typo in Zero 2 was fixed. Originally the word "DEFEND" in the description for the Ultimate Form read "DEFEMD." The "layering" effects during Zero 3's introductory cutscene has been cleaned up a bit; sprites appear a tad smoother. Noticed anything not mentioned here? Speak up in the comments. The Rockman Zero Mythos album came out in Japan the other day, and as per usual, the denizens of YouTube have uploaded the tracks for all to hear. You can check out a couple samples below or head on over to SuperMega233's channel for the complete album. If you like what you hear, I advise you to go purchase the CD from import retailers like Yes Asia or elsewhere. The CD comes with a nice booklet, too, so you get some nice artwork in addition to some slick tracks. 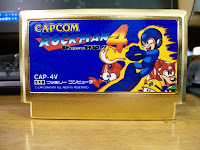 With only eight in existence, the golden Rockman 4 cartridges are one of the rarest items in the franchise's history. It's only natural for bootlegged gold carts pop up from every now and then, tricking collectors into forking over large sums of cash for a well designed fake. Such is the case with this Ebay auction. At a glance, the $9,321.62 auction certainly looks like a legit cartridge. It's gold, it has to be one of the eight, right? Not so fast. 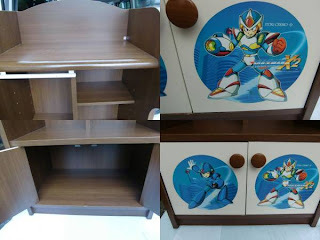 The auction is using the exact same stock photos of the fake spotted on Yahoo Auctions Japan in December 2009 (as reported by The Mega Man Network). Further, legitimate gold carts are individually numbered on the underside of its shell; the seller was unable to identify a number of any sort when asked by a PRC reader. More than likely a bootleg. I urge collectors to be very cautious with this auction and future gold carts you happen to spot. Always ask about the ID number first before purchasing! Thanks, LordHuffnPuff, Dan and GameSniped. As previously reported, Mega Man Online, the upcoming MMO from Capcom and NeoWiz, will make its debut release in South Korea. Other Asian markets are said to follow suit, but there's been no word of an international release, leading many to assume it simply isn't happening. With your support, however, that could change. Capcom USA recently took an interest in the title, and put out a call to action: "What do you folks think? Does this sound like something you'd like to get your hands on in a Western release?" Writes Jgonzo of Capcom Unity. "Maybe it's too early to make a decision, since we know so little. Either way, let your voices be heard in the comments!" If Mega Man Online sounds like something right up your alley, speak up! Head on down to Capcom Unity and comment. Here's a rather neat blast from the past. 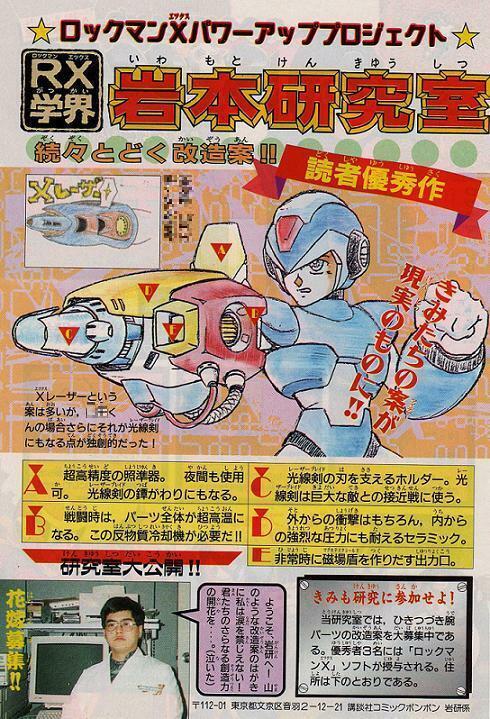 In 1994, Rockman X manga artist Yoshihiro Iwamoto offered his readers a chance to have their weapon designs immortalized in then up and coming new chapters. The contest, entitled "Iwamoto's Weapons Lab", accumulated a handful of entries with weapons ranging from the sublime to the obscure. Scans of these submissions below. Weapons featured on the left most scan include an environmental friendly rainbow buster, a rocket buster that flies X to safety in sticky situations, a bat buster that shoots bats(?) and my personal favorite, the quintuple X-Buster. 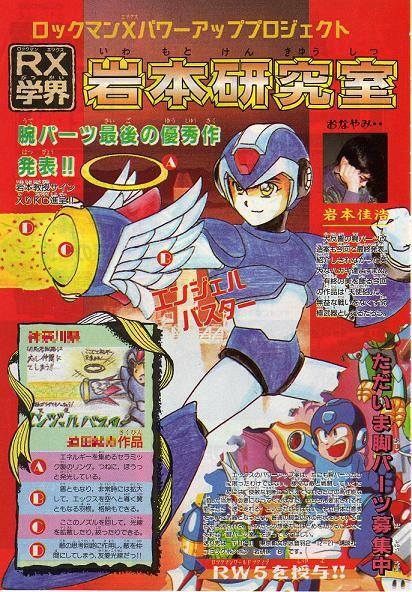 The other three scans focus on Iwamoto's favorites and finalists: the Angel Buster (shots turn enemies into friends instead of obliterating them), the Cyber Fist (solar powered, hand-to-hand combat weapon), and the Laser (shoots a powerful beam, supports beam sabers and can create a powerful magnetic shield). Most didn't end up in the actual comic, but did earn the right to be featured within the pages of Comic Bom Bom alongside commentary from Iwamoto himself. The winning design(s) received an autographed copy of the manga's latest collected volume and a copy of Rockman X for the Super Famicom. Needless to say, there's some pretty interesting concepts going on here. It's unfortunate these type of contests have largely been exclusive to Japan as I'm sure international fans' creativity could certainly yield some awesome results. 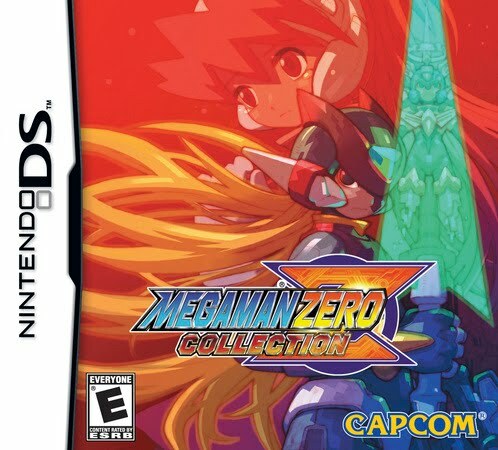 Today is the long awaited release of Mega Man Zero Collection in North America. 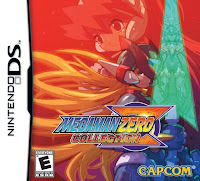 The compilation includes all four games in the Mega Man Zero series, as well as some new features such as easy scenario mode, modification cards and an exhaustive official artwork gallery. All this for $29.99. Before heading out to your local retailer to pick MMZC up, it's a wise idea to call ahead and make sure the game's in stock -- more often than not, some stores don't carry newly released games till the following day. If you've got the game, feel free to post you impressions in the comments! In a recent interview with Nikkei Trendy, Capcom's CEO Haruhiro Tsujimoto talked a little about Rockman Online's conception, among other topics of interest. Interestingly, it was developer NeoWiz who pitched the game to Capcom. Capcom, seeing Rockman Online as a viable project, gave it the green light. Tsujimoto also touched on the game's release schedule, stating it will hit the Korean market first, and then possibly branch off into Taiwan and China, two countries where PC MMOs are all the rage. A Japanese release is also being considered, but still no word on the rest of the world. As noted on Siliconera, NeoWiz does have a North American based subsidiary, so that should certainly help the game's chances of being released here. I've added a new feature on the blog today: Pic of the Week! Each week, right underneath my contact info on the right, you'll find an ever changing image sent in by readers. Pics eligible include fan-art, a photo of your Mega Man collection or just whatever -- it's got to be Mega Man/Rockman related. Simply contact me at rockman20xx(at)yahoo(dotcom) with the subject pic of the week, and a short description of your piece. Pics will be random selected from ones that are sent in, posted up on Fridays. This week's image is from David Pruden, an 11-year old fan who absolutely adores the old school, NES Mega Man games. "The older MM games just seem to be more fun to me. They seem to never lose they're appeal. It's like there's always one power-up you missed or, you want to go for a 100% run of the game. But usually with modern games you play it, you beat it, it gets boring," Writes David. 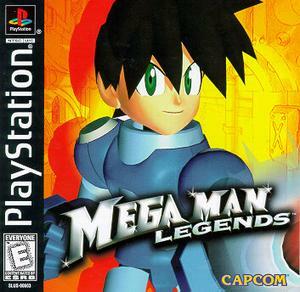 "I don't play modern games that much but I usually am playing a Mega Man game though. 8 bit games just have some sort of extra touch to me than modern games. I'm not saying that modern games are bad but, I just think 8 bit games are much more enjoyable (and 16 bit ones are too)." Thanks, David. Looking forward to your submissions, everyone! 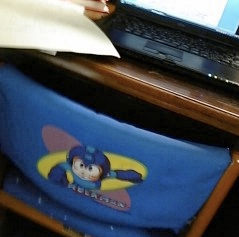 Live Stream of Tonight's Mega Man Party -- It's Almost Like Being There! Capcom's throwing a big ol' Mega Man party at their San Mateo offices tonight in celebration of Mega Man Zero Collection's release next week. Fans in the area are more than welcome to join in on the fun, but for those nowhere near San Mateo, you can sit back and watch the fun from afar thanks to Capcom's official UStream of the event. Not much is going on at the moment, but the guys over at Capcom Unity assured us they'll try to shoot as much footage of the event as possible. You can check out a direct feed of the stream after the break or watch it here. Enjoy! We've seen some impressive crocheted Mega Man caps before but nothing quite as awesome as this. Behold, the Rush helmet cap! 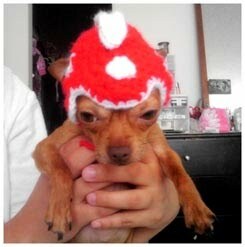 Simply too cute for words. 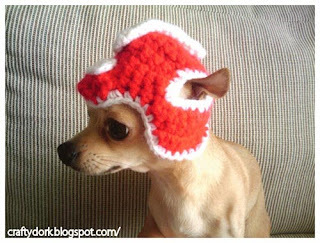 Found over at the Sprite Stitch forums, knitted by JennyDork. For your listening pleasure, Inti Creates has posted four sample tracks from the upcoming Remastered Tracks Rockman Zero: Mythos album. The four tracks are newly arranged pieces: 'Final Match', 'Departure', 'Hell's Gate Open' and 'Everlasting.' While you're there, be sure to scroll down a bit for the complete track listing. Mythos releases later next week, June 10th. Korean sites Beta News and Mediot have brought forth some new details pertaining to Rockman Online. 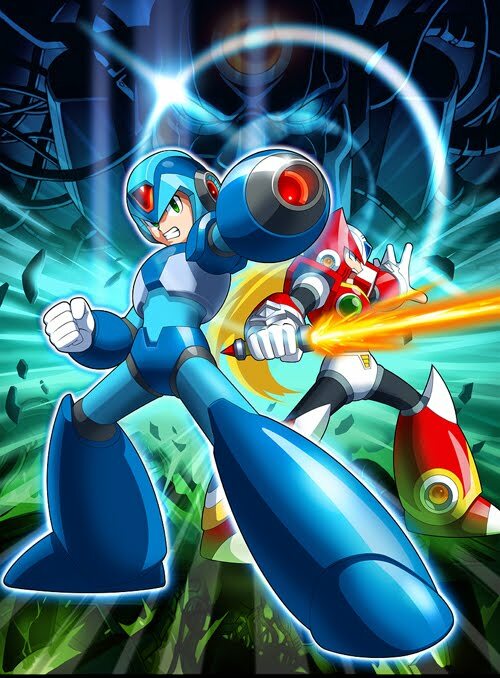 In addition to providing a few new official illustrations focusing in on Rockman X and Zero (below), both sites have confirmed the game as a 2D side scrolling action RPG with 3D graphics (comparable to that of Mega Man X8 and Maverick Hunter X). 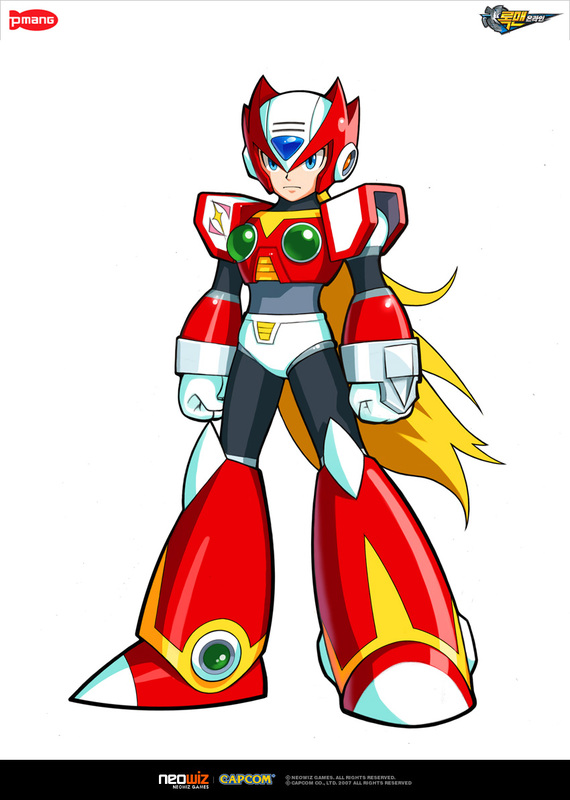 Further, Online is said to take place within the Rockman X universe and its world will be populated by NPCs in addition to users. Capcom is still mum on a console, however it's speculated to be a PC release due to developer NeoWiz's previous efforts on the platform. At this time, the game will remain a Korean exclusive with no Japanese or Western release planned. More details and screenshots of Online are expected to be released in the very near future. For now, please do enjoy the new official artwork! "Today we launched game development. It’s a short development time, but I think it’ll turn out to be a pretty enjoyable game. 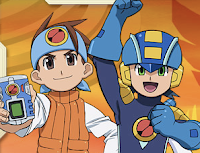 Next one’s already reaching a climax, yet…"
Interestingly, all projects Yamada talks about on his blog are in some way related to Mega Man, notes The Mega Man Network. I wonder...? Capcom's celebrating the release of Mega Man Zero Collection in style! The company announced they're holding a community wide launch event taking place this Friday, June 4th at Capcom's San Mateo, CA offices from 7PM - 9PM. 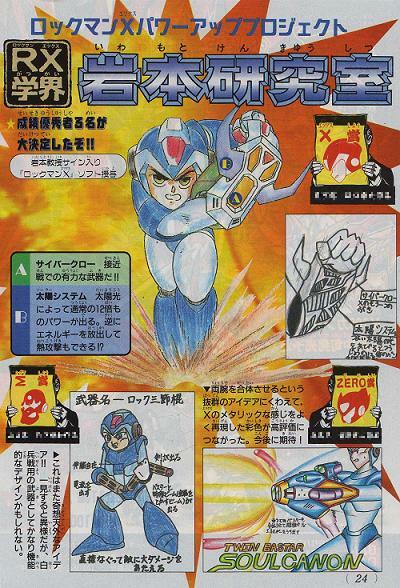 Not only will you get to sample Zero Collection a bit early, but Mega Man 1-10 will be on hand to play as well. Of course, What's an event without prizes? There will be raffles and competitions to win some cool merchandise and swag, free food, and even a screening of the Mega Man: Upon a Star OVA. Sounds like a lot of fun, but alas, I'll be stuck here in the good 'ol Midwest. Attending? Let us know how it all goes down! Complete details at Capcom Unity. 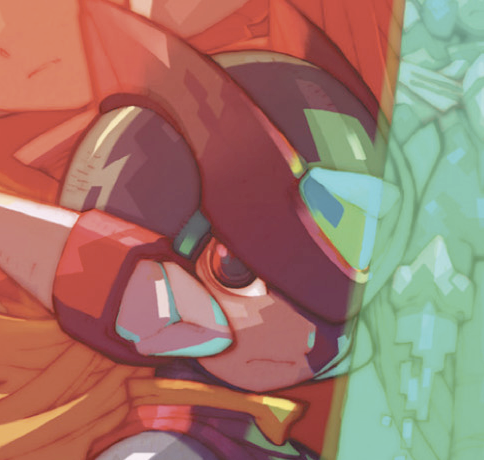 There's been a slight change of plans concerning the release of Mega Man ZX volume 1. Originally slated to hit comic book stores this Wednesday, June 2nd, UDON says that the book will arrive the following day, June 3rd. Apparently being Memorial Day yesterday, all comic books are being shipped out a day later this week. No worries, it's still coming! Also, for those interested, UDON sends word that Megamix artist Hitoshi Ariga has a new e-book coming out in the States entitled Mimimi: The Tale of a Cat and a Robot, exclusively on Amazon Kindle (or Kindle's free PC app). It looks very cute and you can definitely see that Mega Man flare shining through the art. You can check out some preview pages of Mimimi here. A mobile phone port of Rockman X3 is now available for purchase via Capcom's iMode site “Capcom Party,” according to Famitsu. Pricing is set at 315 Yen. The game is a faithful port of the original, modified only slightly for mobile phone compatibility. New to the game is a ranking option that tracks your scores with other players throughout Japan. Unfortunately, still no sign of X3 or its mobile phone predecessors making the jump to our side of the pond.